The chairman of the confectionery and media conglomerate Orion Group appeared for police questioning on Monday over allegations that he embezzled company money to build his vacation home. Chairman Tam Chul-gon is accused of spending about 20 billion won ($17.7 million) in company funds between 2008 and 2014 to build the vacation house in the Gyeonggi Province county of Yangpyeong, east of Seoul. 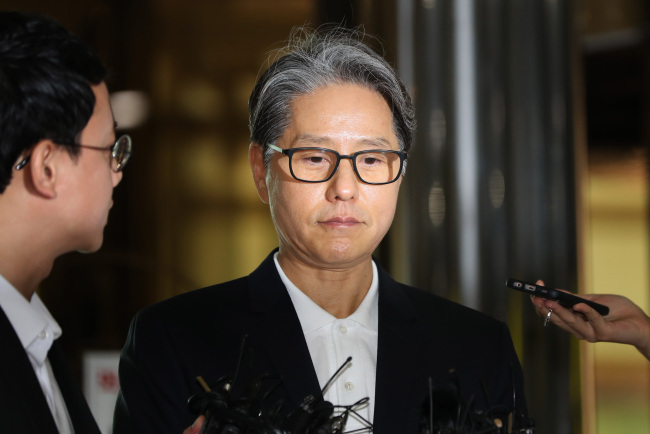 After arriving at the National Police Agency, Tam denied the allegations, claiming that the house is a company training facility and that he's never used it for private purposes.